In-Drum Compactor has lever-operated design. 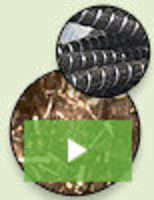 Auger Compactor handles high volume of corrugated waste. Reversible Plate features triple exciter system. Compactor generates 7,000 lb of force. Manufactured from structural steel, PACK-MASTER in-drum compactor compresses materials such as paper, filters, aluminum cans, absorbents, and disposable clothes for removal and recycling. Drum of material is placed on base and compacted by operating ram lever. 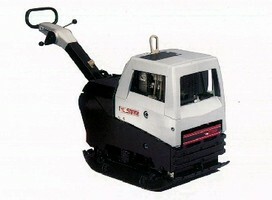 Unit gives compaction ratio of up to 7 to 1. Vibratory Plate Compactors work with granular soil. 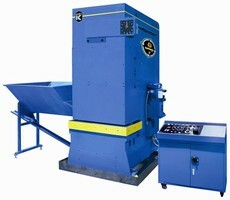 Bag Compactor solves bag disposal problems. 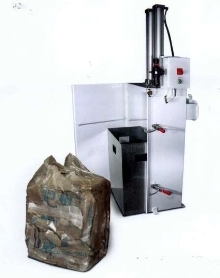 Heavy-Duty Bag Compactor reduces large piles of paper or plastic bags down to 4 cu-ft bundle. When used in conjunction with self-contained dust control/bag dump station, unit minimizes employees' exposure to dangerous dust. 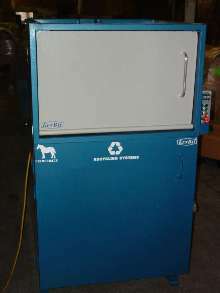 Available in painted carbon steel or stainless steel, compactor requires 3 scfm at 100 psi of compressed air to operate. 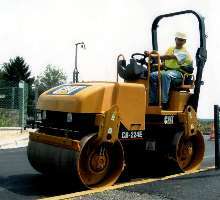 Asphalt Compactors utilize high-frequency vibratory system.